2016 has been a big year for me so far! I moved from Mississippi to Tennessee on somewhat of a whim and I feel like I'm finally starting to settle in. I’m glad to have moved during the brunt of winter because now I’m all prepared to enjoy spring! Speaking of which, I’m planning to get a dog this spring as well! I’ve been wanting to move and get a dog for about 2 years so it’s nice to see things coming together. Work has been great! I have almost more web design these days than I can keep up with. Sometimes I wish I had less of a workload so I could spend more time on creative endeavors, but I really appreciate having such a great job and having work available! Getting to this point in freelance was not easy… it takes a long while to develop a portfolio and client base and the internet is a competitive place. I feel like I am finally starting to afford to live like an adult by working from home. I’m still behind on taking some photographs of the amazing caps I’ve acquired over the last couple weeks. So I need to catch up with that! I have been trying to get the ball rolling again on casting my own stuff, though. I’m actually gearing up to have a sale in the next month that I think/hope people will be excited about. I feel like I must be really inefficient compared to other cap makers as I have sales so infrequently and on a fairly small scale. I’m working on getting some extra little tools and different silicone strengths to help streamline my production. Big thanks to Kudos for being awesome and sharing pro tips with me! 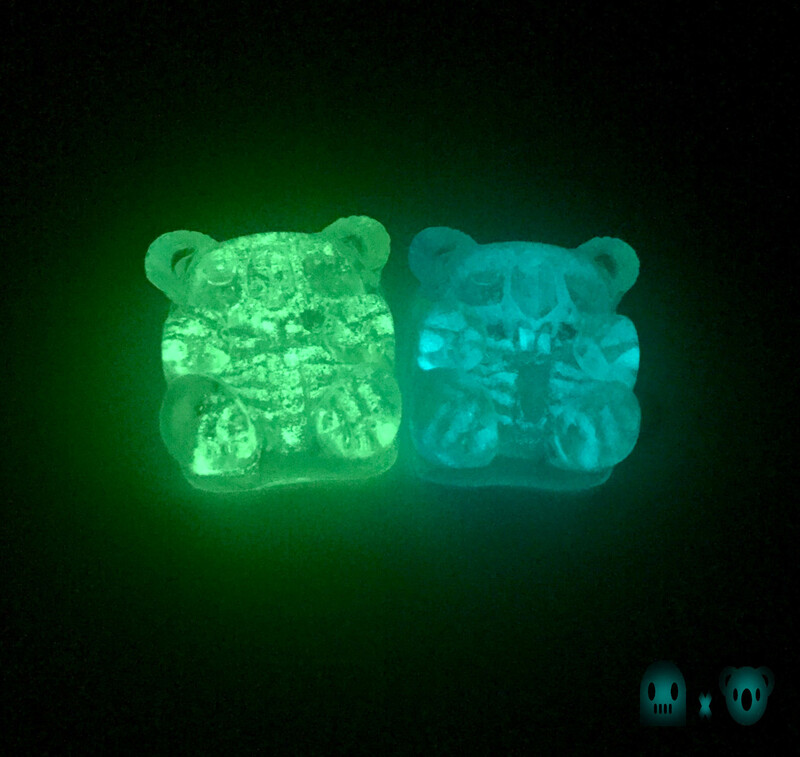 Aaaand speaking of Kudos and Koala-T… I’m extremely excited about a new collaboration keycap! 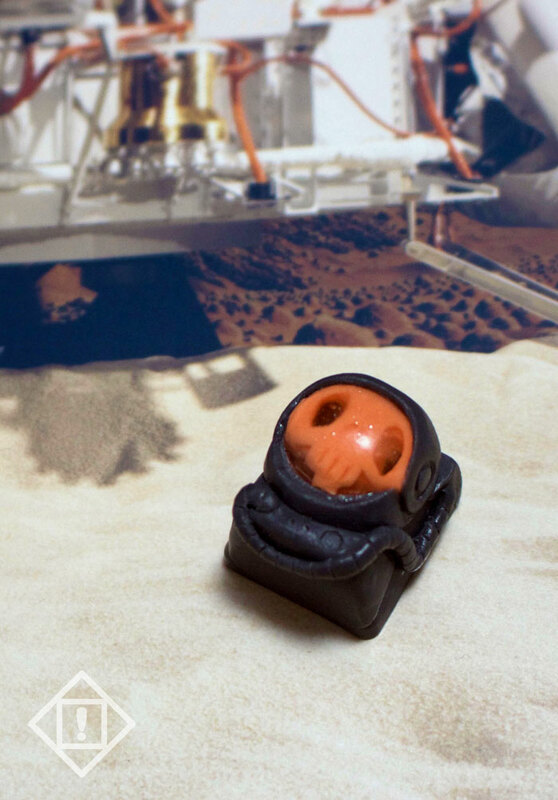 KeyKollectiv has been exploring the art of encapsulation in artisan keycaps with innovative designs - like Furt and Kill Wala - and they are really creative with designs, skilled in production and all around cool people. This has been a really cool project to see come to fruition. I have not willingly done many collaborations as I am particular about what I make and have a tendency to want to do things my own way or I get pretty uncomfortable. This collaboration has been one of the first instances where I have taken a backseat, almost entirely, on production and design. BUT the really cool thing about it is that I was able to let go of the control issue. I had seen that Kudos and Koala T are extremely talented and capable so I had total faith in them. It was a learning experience to work with people who made ME feel like the slacker. KeyKollectiv is an awesome team and it’s been a pleasure getting to work with them and talk and such. 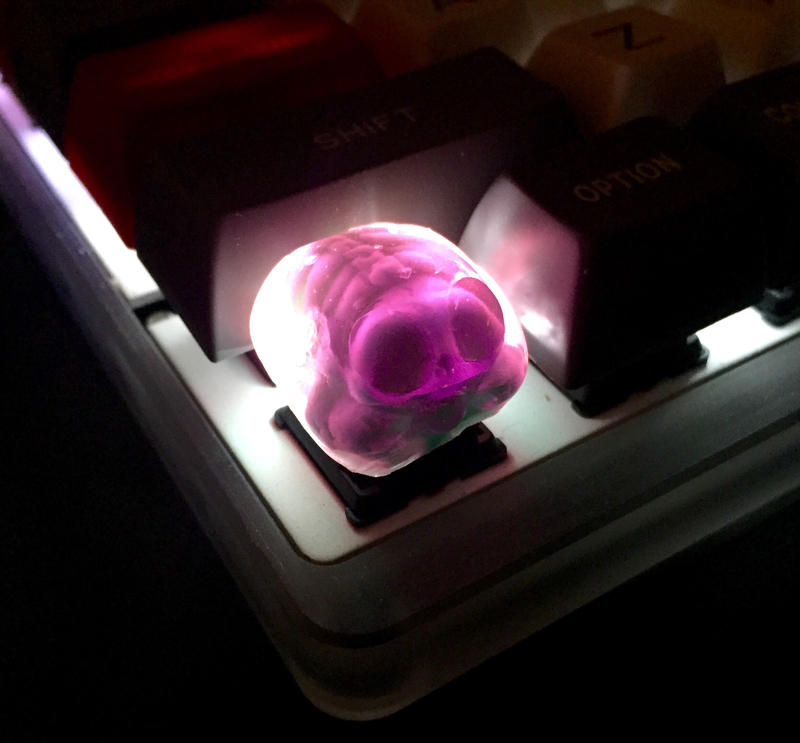 I’m constantly amazed by how great some of the people in the Keyboard and Artisan communities are. To read more about the Kosmonavt Collaboration, check out the KeyKollectiv blog and an interview of Kudos and I on Keychatter. Our collaboration has been dubbed the Kosmonavt - a combination of the title “Cosmonaut” and Russian influence like in the KeyKollectiv name. Below are some photos and a teaser video made for the release.